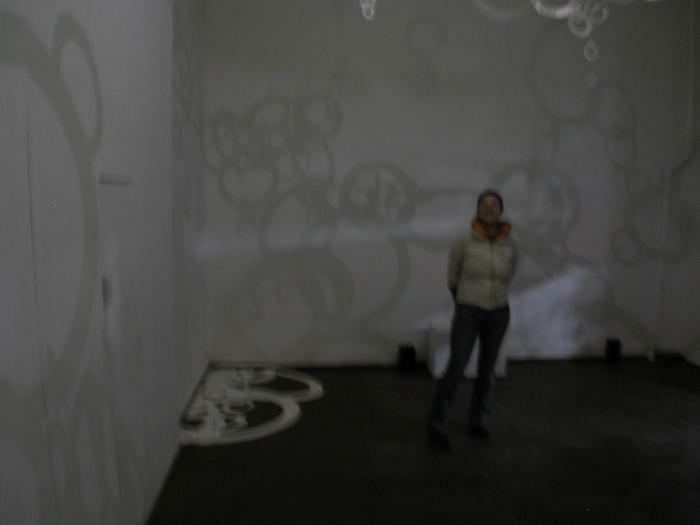 ACCUMULATION is an attempt to show the accumulation, inter-connectedness and movement of organic energy patterns, an installation using sound, light, movement and three dimensional paper structures. The work reflects Egger's ongoing interest in New Physics and its underlying philosophical implication that everything in the universe is woven together by indivisible links. All phenomena in this world are interdependent and a part of a larger system. This view can be found in modern science, spiritual teachings and ecology and has had a deep impact on the artist who senses the tremendous implications for peaceful and continuous life on this planet.